New Year/New Home! Brick Home On A Large Corner Lot In The Stone Meadows Subdivision Of Mt Washington. 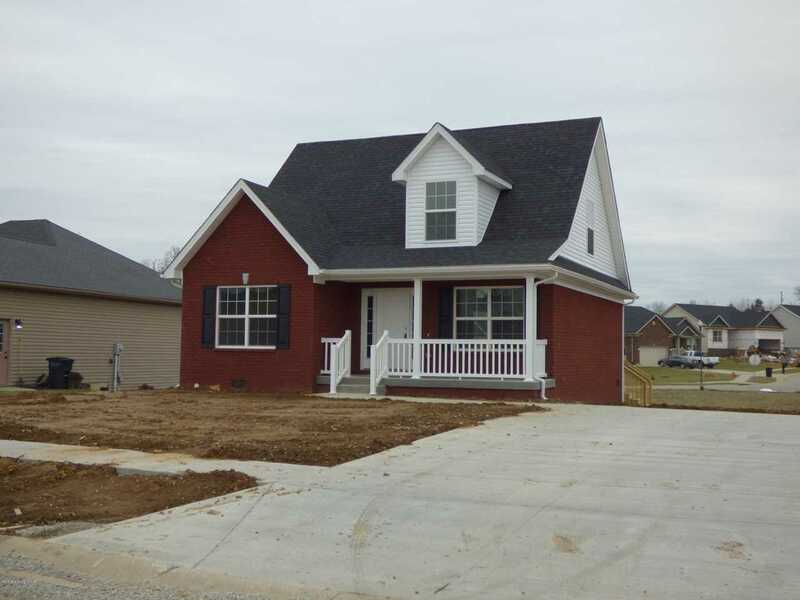 Great Curb Appeal With A Dark Red Brick, Covered Front Porch and Convenient Double Driveway. This Corner Lot is Almost A Forth Of An Acre As It Extends Back To The Next Street! Main Floor Has A Living Room, Dining Area, Kitchen, Master Suite, Laundry Room & Half Bath. Upstairs Has 2 Large Bedrooms And Full Bath. Wood-Laminate Floors Flow Throughout The Main Floor. Laminate Tile In The Bathrooms. The Kitchen Has Rich Wood Cabinets and GRANITE Counter-Tops!! Less Than 10 Miles To The Gene Snyder At Bardstown Rd! Great Mt Washington Community With Many Access Options. 1 Yr Builder Warranty. Photos are of another finished home but this home is almost complete & photos will be updated soon. Lot Size: 0.36 Acres / 15768 Sq. Ft.
SchoolsClick map icons below to view information for schools near 0-Lot 231 Meadowcrest Dr Mt Washington, KY 40047.